Your baby will love the Becalm Teething Mitten! 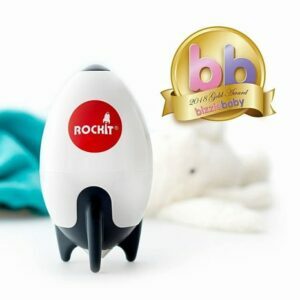 It’s cute, innovative and fits over baby’s hand allowing them to self-soothe their itchy, irritated gums. 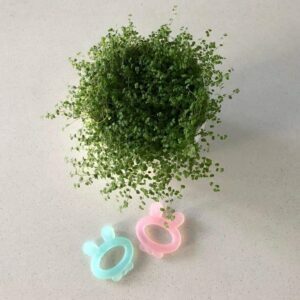 An Easy Reach Teether. 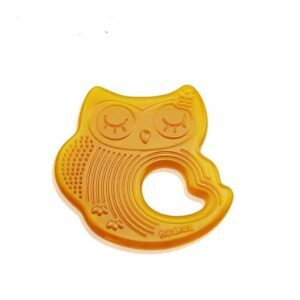 Cloud shaped teether made from 100% food grade silicone, perfectly designed to fit your baby’s mouth shape. 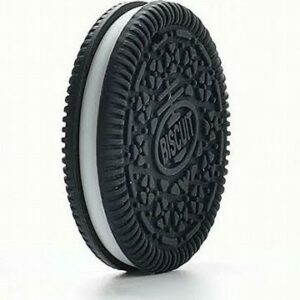 Designed to be soft on your baby’s gums. Teething babies no longer need to travel far to find something to chew on with our Teething Mitten. 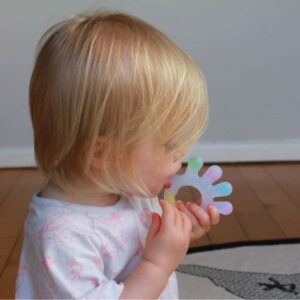 This clever little teething mitten is made from flexible silicone for soft chew factor so there’s no more chapped, sore fingers! It fits neatly over baby’s hands and attaches securely with a velcro strap,this prevents the teething mitten from hitting the floor. This teething glove is perfect for out and about activities. 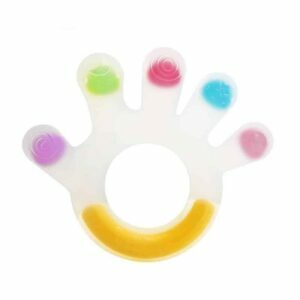 The Becalm ® Teething Mitt – Happy Hand® is a self-soothing easy reach teether for babies and hands-free for parents. With a colourful, patterned design it stimulates babies while keeping hands happy and comes with a handy wash bag for easy machine washing. The silicone teething part of the mitten can be placed in ice to cool it down, perfect for instant gum relief. The Becalm ® Teething Mitt has exceeded all safety testing. We use Australia Post Eparcel (7.95).